Finest quality Oil of Oregano hand picked in the heart of the Mediterranean. Free from additives and preservatives - 100% natural. Oregano is a perennial herb native to Europe, and its medicinal usage can be traced back to Ancient Greece. The most popular medicinal species of oregano used in the modern day is ‘Origanum vulgare’, whose name is said to derive from the term ‘joy of the mountain’. Its usage primarily concerned the disinfecting of wounds and as a topical medicine for bacterial infections. The oil was also used as an antibacterial agent on food items. Nowadays, Oregano is still an incredibly popular herb. Whilst being more commonly known for its culinary uses, many still attest to the health benefits of this product. Oregano Oil is extracted from the leaves and flowers of the Oregano plant itself, giving it a golden colour and a distinctive scent. The oil is known for its impressive potency and strong antibacterial features. The primary active ingredient in Oregano oil is Carvacrol, which has been said to inhibit the growth of several strains of bacteria such as Escherichia coli and Bacillus cereus, which it does by damaging the integrity of the bacterial cell membrane. The truly great thing about Carvacrol, is that whilst it prevents the growth of certain nasty bacteria, it has shown to have a minimal impact on the beneficial bacteria in the digestive tract. Oregano Oil also includes Thymol, a natural phenol with antiseptic qualities, often used in the treatment of infection. Oregano oil has an amazing number of uses, in the home and for personal use. 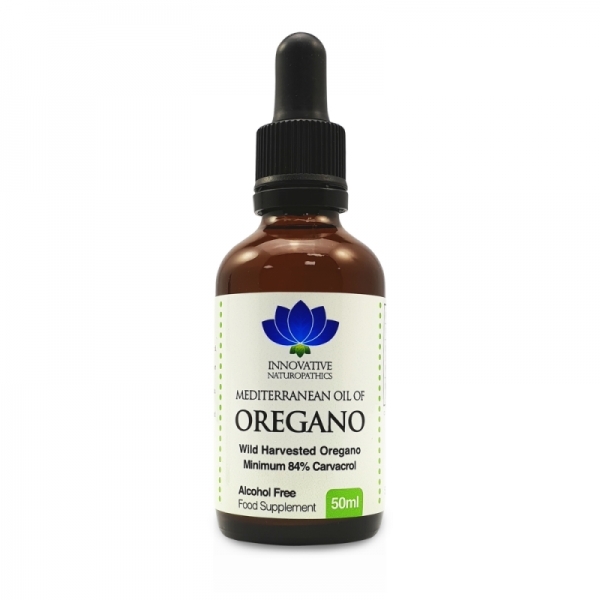 Daily Supplement: Oregano oil can simply be added to your diet to support your overall health and wellbeing. It can be taken under the tongue or added to food. Cold and Flu: It can be mixed with hot water for the purposes of steam inhalation, which some use to relieve cold and flu symptoms. Antiseptic: Added to water in a spray container, it is invaluable for its antibacterial properties. Shampoo: Try adding to your shampoo to promote luscious hair and a healthy scalp. Oral Rinse: It can be used in a diluted form as a mouth rinse, which many use to relieve Candida symptoms and sore throats. Cleaning: It can also be used for cleaning purposes as well as protecting food from developing the growth of bacteria.